Extended Stay Deluxe Boston Westborough Computer Dr. 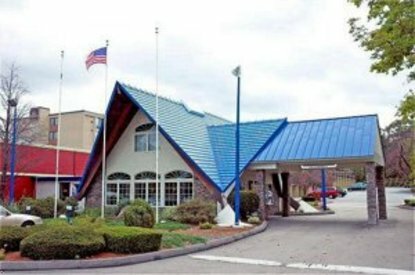 Enjoy spacious rooms located at this Boston area hotel, perfectly situated in Framingham's Golden Mile for easy access to key area attractions. Ideally located in the heart of the famous Golden Mile area, the Best Western Framingham provides comfortable accommodations for business and leisure travelers to the area. This Framingham hotel offers easy access to Shopper's World, Natick Collection, General Cinema, Garden in the Woods, New England Aquarium, Faneuil Hall Marketplace, Franklin Park Zoo, Museum of Science, Marlborough Airport and Logan International Airport. Located in the heart of shops, outlet malls and restaurants, guests to this hotel will find numerous shopping and dining locations within a short distance. Each spacious, well-appointed suite is fully equipped with complimentary high-speed Internet access, cable satellite television with HBO, ample desk space, coffee/tea maker and iron/ironing board. Select rooms feature a balcony. Every morning guests to this Framingham area hotel are greeted with a complimentary coffee and a free newspaper. After a busy day, visitors to this hotel can enjoy a dip in a heated swimming pool and then relax in the on-site sauna. Business guests to this Massachusetts Best Western hotel will especially appreciate the full-service business center and meeting facilities. A well-trained staff is ready to implement events upon request. Come experience the hospitality and professional service at the Best Western Framingham in Framingham, Massachusetts.